We are dog lovers and before my second baby was born I had a dog for 12 years. 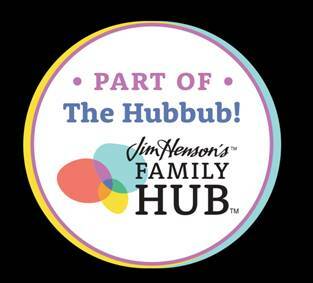 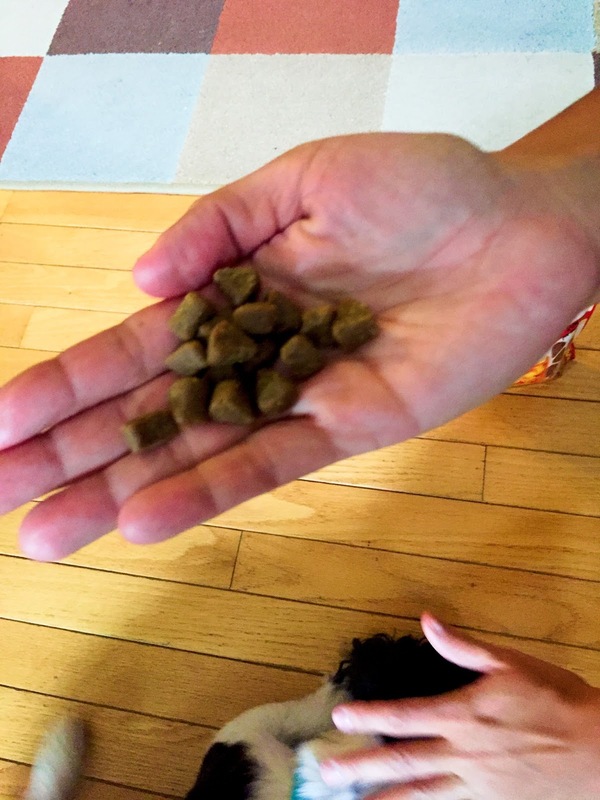 While we love pets we have become community pet sitters for 12 families and this fills our desperate need for pets. We hope to have our own pets one day but our life isn't conducive to more than a guinea pig at the moment. 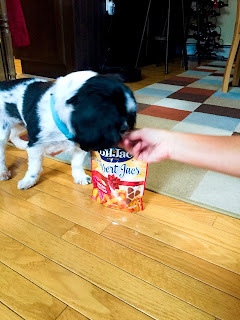 When we visit our furry friends whether to take care of them or just to visit (we miss them when we don't see them) we always bring treats or toys. 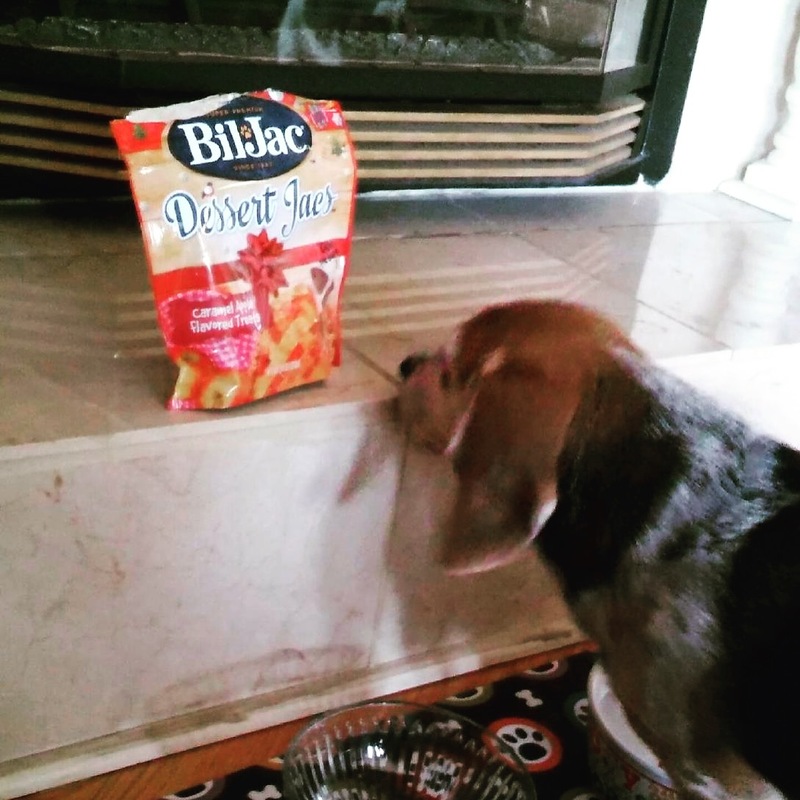 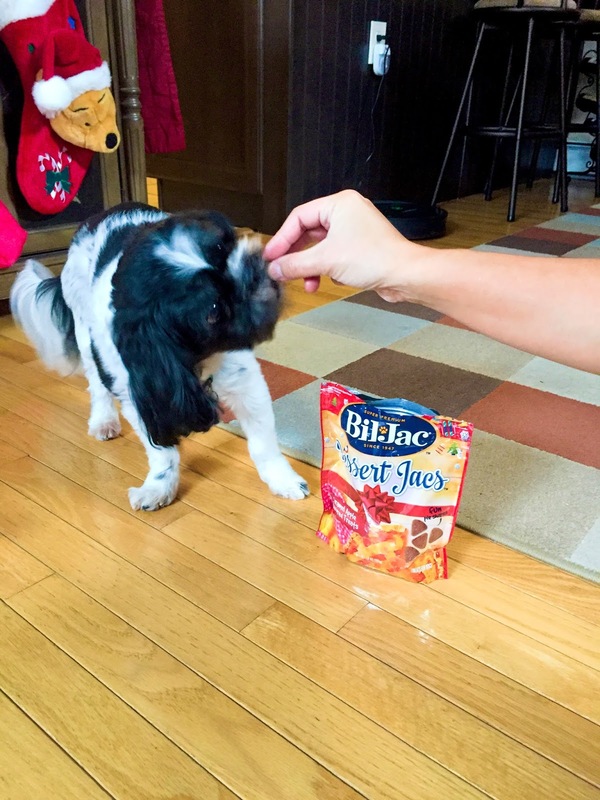 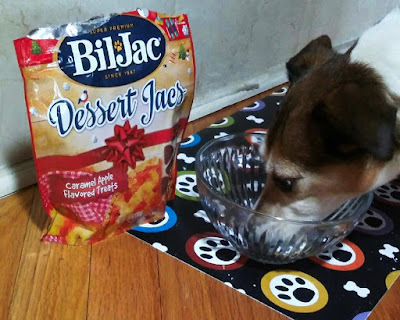 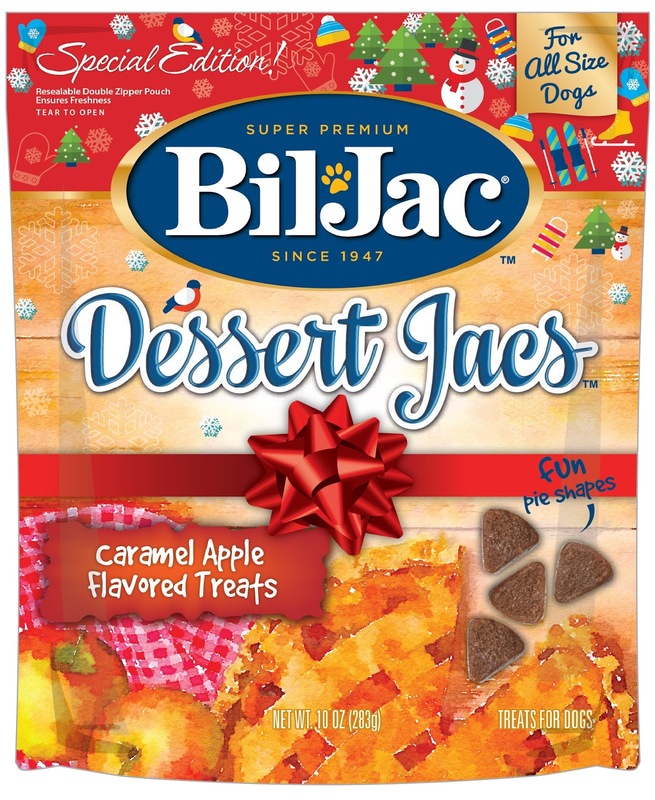 Bil-Jac is one of our favorite products because not only do they use real meat (it is the first item on their ingredient list) in their food they also have seasonal treats like Caramel Apple Flavored Treats. 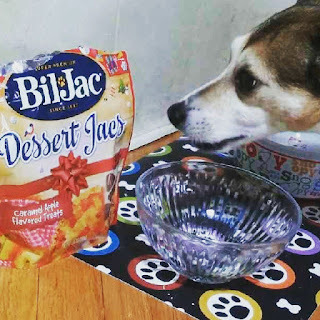 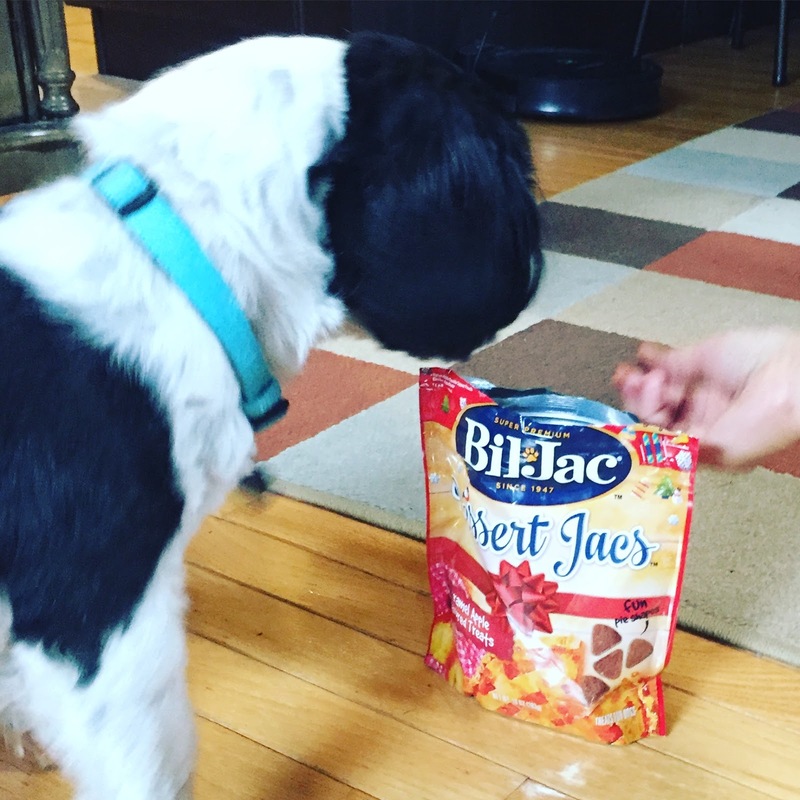 Bil-Jac is passionately committed to the health and well-being of dog and puppies everywhere and these treats are no exception. Bil-Jac is a family-run and family owned company set on making sure your family has your best buddy or buddies around for a for a long time. Two of the dogs we sit for LOVED the caramel apple flavored treats so much, it was almost impossible to get a good picture for this post.